This book was recommended to me by a friend. She said it helped her cope with the grief of losing her sister at a young age. I looked for it on Amazon and found that the latest edition is the 50th anniversary edition. Any book that has helped people for that long deserves a reading. Author Westberg was on the faculty of both the Chicago Divinity and Medical Schools as a professor and chaplain. 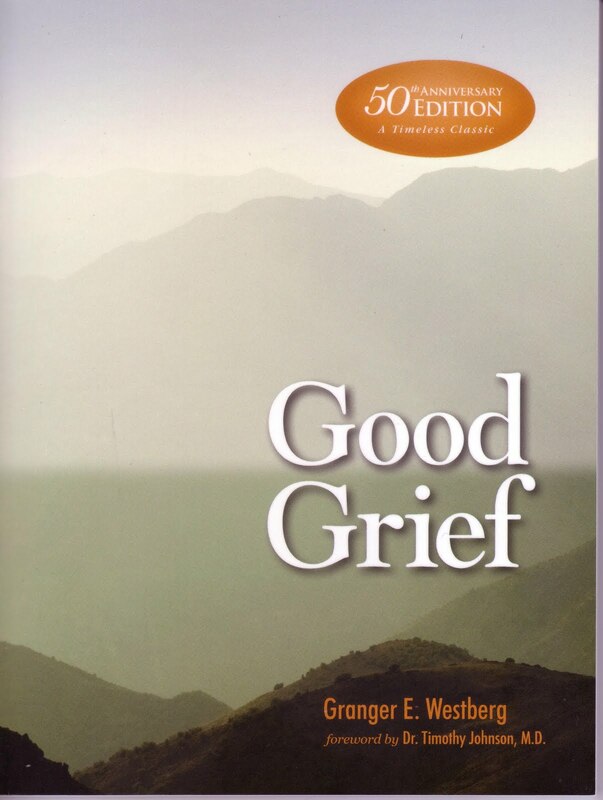 This book is the outgrowth of a very popular sermon on grief that he preached at Rockefeller Chapel in 1961. 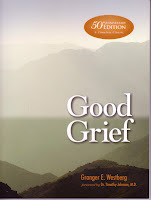 In the sermon, as in the book, he described ten stages of grief, maintaining that each was necessary in dealing with loss, especially the loss of a loved one. Only 63 pages long, the book's appearance suggests that it's not a difficult or lengthy read. The writer of the Foreword says it's "simple but not simplistic." The author's daughters wrote the Afterword, mentioning that Mamie Eisenhower received a copy of "Good Grief" as a gift following the death of her husband. She let Westberg know that his book had helped her deal with her grief. They also say that pastors, doctors, nurses, and even veterinarians often gave a copy of this book to their patients who experienced a loss. I agree it would be a great gift for someone in that situation. Buy it on Amazon. An older edition is online at Google Books.